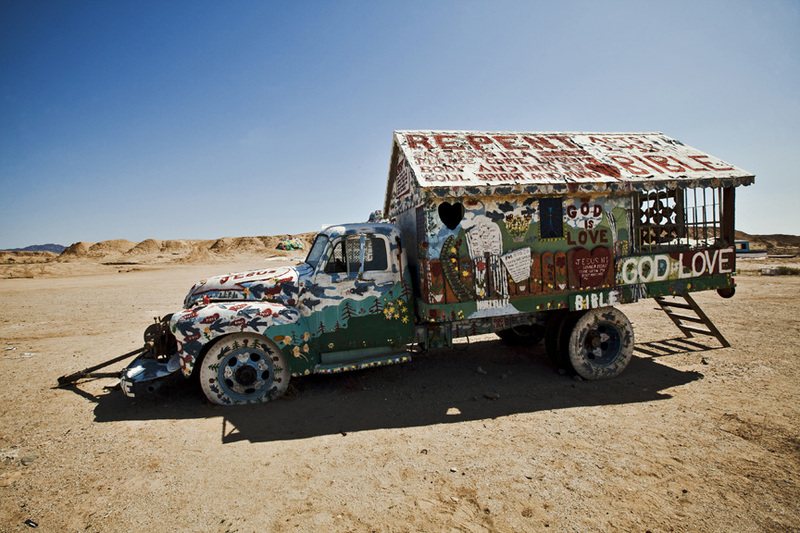 Leonard Knight's creation in the desert, Salvation Mountain. 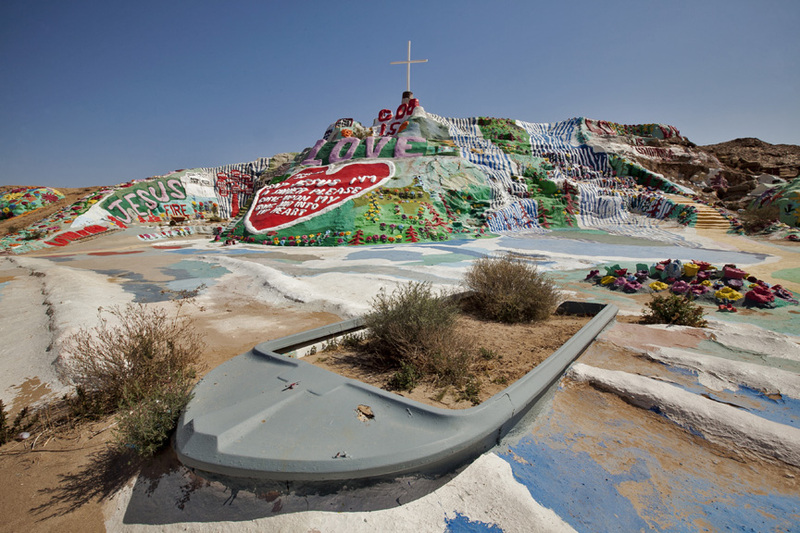 The mountain is located near California's Salton Sea, in the city of Niland, and is placed in front of "Slab City." 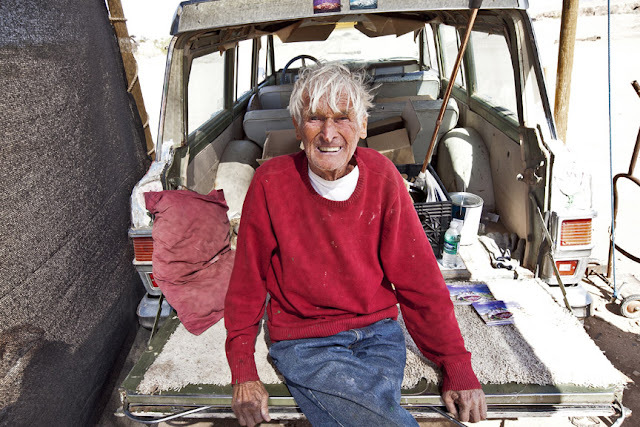 Knight created the mountain back in 1984 using junk and debris he found in the desert, covering it with cement. He now uses an adobe mixture made of hay mud and thick household paint. 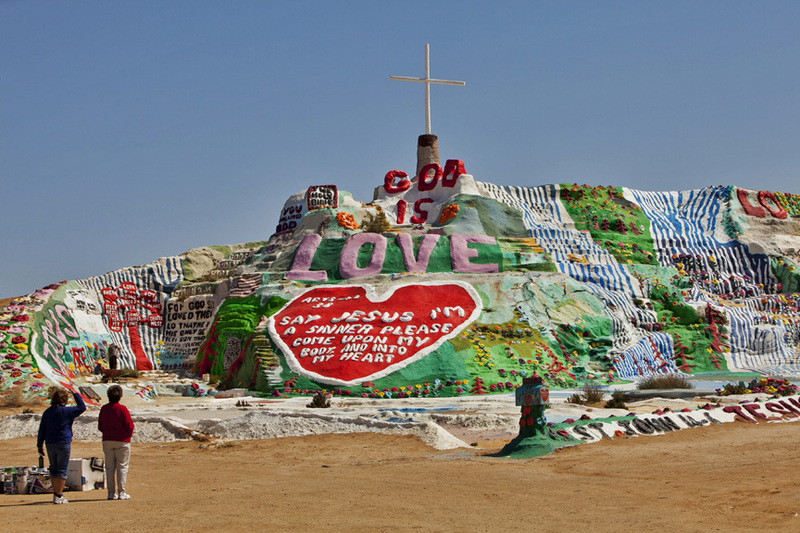 Salvation Mountain reaches an impressive 50 feet tall by 150 feet wide. The mountain is dedicated to Leonard Knight's love for Jesus and salvation. Many religious text and symbols are imparted on and within the mountain. The mountain gets over a hundred visits a day during the winter months from folks all over the world. 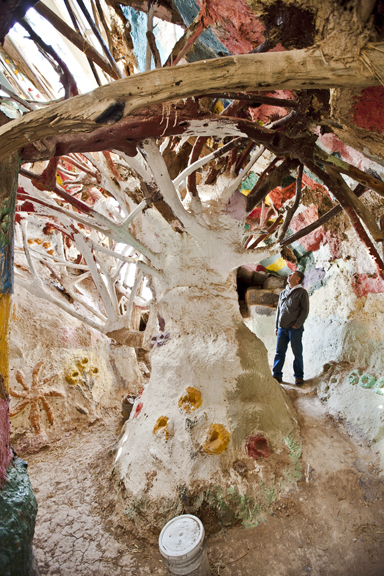 A tree inside a mountain.